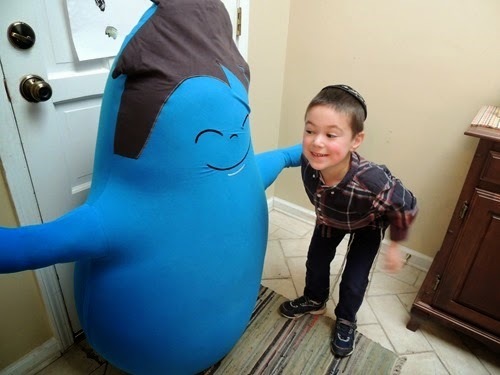 Last summer, we were in the mall in NJ and we stumbled upon a store called Yogibo. 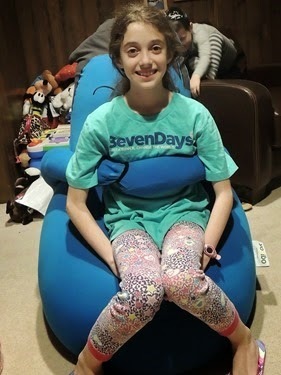 Inside the store were these amazing bean bag pillows that were comfortable and fun to sit on, as well as cute stuffed bean bag animals and smaller pillows. 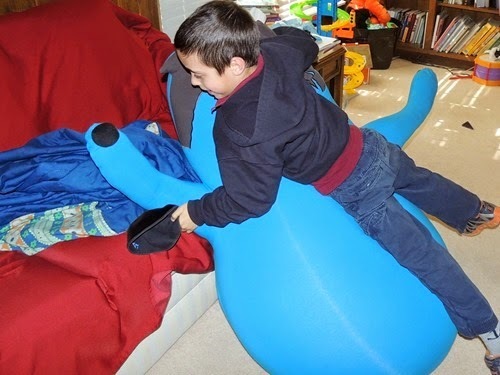 Coincidentally, our Occupational Therapist brought a Yogibo Max, a Caterpillar Roll, and a few Yogibo Balls into her office and my kids fell in love. 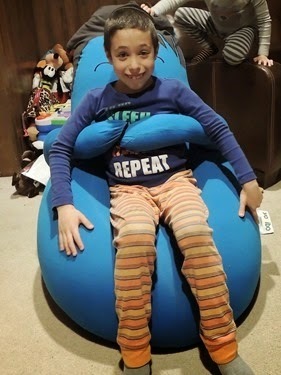 We were all so excited when Yogibo agreed to let us try out one of their newest products, the Hugibo, the bean bag that hugs you back! 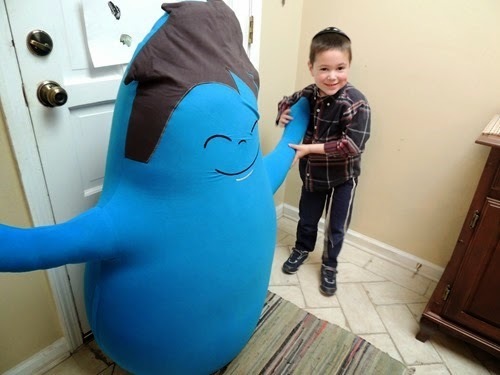 Simon was the first to meet our Hugibo and he immediately dubbed him “Huggy Wuggy” and discovered the velcro hands that are perfect for hugging! 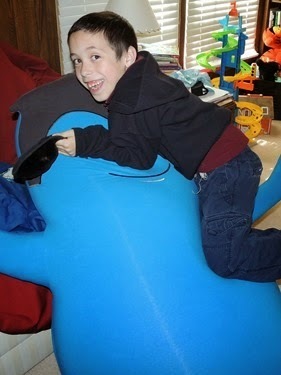 Next, Zachary enjoyed jumping on Huggy Wuggy and squishing his soft body! 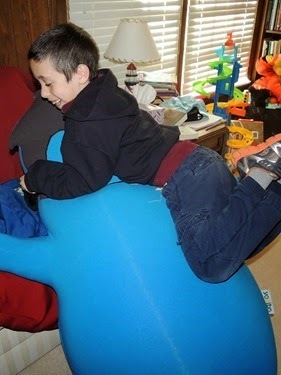 Gabbie likes to sit on Huggy Wuggy while she reads each night, and she showed Zachary how to make him into a seat. We have already seen Huggy Wuggy used as a place to lie down and sit on, a soft place to land on, and a friend to play with! 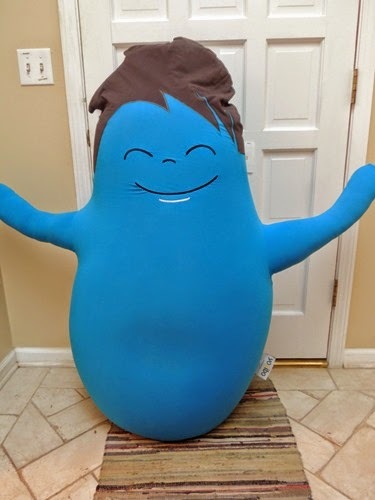 The Hugibo comes in blue, green, and pink and Yogibo’s other products come in even more colors so there is certain to be a match for every home or room style. While their stores are located on the East Coast, they ship everywhere in the Continental USA and Canada. 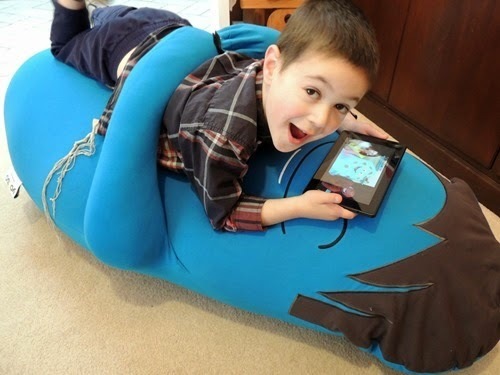 Check out the web page for all the bean bag products you can imagine, as well as plenty of items for sensory seeking kids! 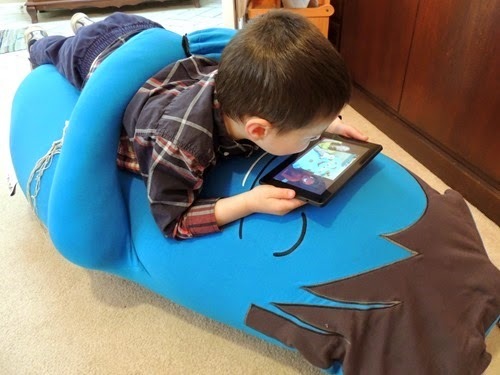 We received this product free of charge in exchange for our review. No other compensation was received and all opinions are ours.